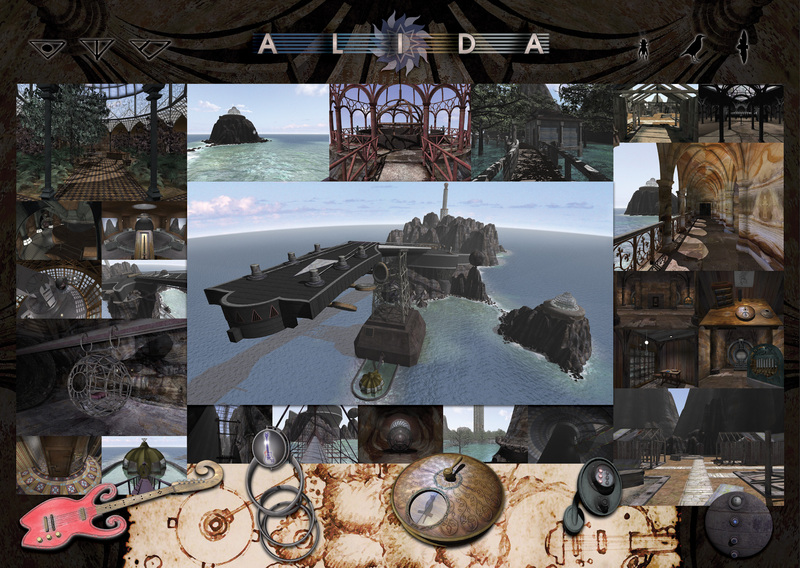 Alida was originally released in 2003 on Macintosh and PC platforms, and searching 'alida game' online you may find vintage releases available. Five years in the making, the world of Alida will captivate you with its wondrous graphics, intriguing puzzles and original music score. This atmospheric graphical adventure is set on Alida, a guitar-shaped island theme park constructed by a young and wildly successful band. However when money woes and paranoia set in, the band splits up. Alida is devised by a widely successful music group. Paranoia sets in and the band splits up, each claiming different areas of the island theme park for themselves. They devise strange and elaborate systems to protect their wealth. Each grow increasingly isolated and the band eventually abandon Alida. Several years later the band's manager Kivas suggests the band reunite on Alida. Soon thereafter, band member Arin leaves for Alida and is not heard from again. During the Alida Game start up, the opening dialogue sets the stage. Julia, the wife of Arin, explains to you her plight and pleads with you for help.